Vehicle Search Laws | Can police search your car? If you are facing criminal charges and you believe your vehicle may have been illegally searched, contact an experienced Columbus criminal defense attorney. You will need an experienced criminal defense attorney who will discuss the facts of your case and let you know what your options are. Contact Attorney Adam Burke for your free consultation at (614) 280-9122. If you are like most people you may not have given this much thought until your vehicle was stopped and searched by the police. If the police cannot justify their search of your car for any of the reasons listed in the sections below, the search is illegal unless they obtained a valid warrant. If the the police searched your vehicle without a warrant, with a defective warrant or without a sound legal basis, the search is illegal and the court should throw the evidence out of court. Contesting this evidence in court requires you or your attorney to file the appropriate motion and argue the issue at an evidentiary hearing. Many criminal cases begin with the stop and search of a vehicle. The police cannot stop you for any reason. In order to stop you, the police must be able to point to specific facts to suspect you of violating the law. The typical example involves a traffic violation such as speeding. The traffic stop does not need to be the real reason the police stop you. Law enforcement may have a hunch that you have done more than just broken a traffic law, but citing you for a traffic violation is often a convenient way to justify a stop with the hope of expanding the investigation. It’s important to understand that, if you are stopped for a traffic violation, the police may NOT normally detain you and your vehicle for longer than necessary to investigate and cite you for a traffic infraction. The exception is, if the police uncover additional facts in the course of investigating the traffic stop, they may then extend their investigation. For example, the police may have initially detained you for speeding and then noticed an odor of alcohol and slurred speech. This will often give the police grounds to expand the investigation by asking you to step out of your vehicle to perform a series of field sobriety tests. Tests you still have the right to refuse. Generally, running a drug sniffing dog around your car is not considered a search of your vehicle. However, in Ohio, if the detention for a traffic violation is unjustifiably extended while the police wait for a dog to be brought to your car, this is an illegal detention and the court should throw out any evidence related to your delayed detention. Because the police suspect you of having committed some type of offense does not necessarily mean that a search of your car is valid. Even with a valid reason to stop your car, searching your vehicle usually requires more evidence. One of the most common examples is evidence that is in plain view. The police may expand their investigation to include a search if they have stopped your vehicle for a legitimate purpose and discover evidence of a crime in plain view. To search your car the police must have a level of evidence called probable cause. This means there is immediately apparent evidence of a crime. For example, if the police stopped you for speeding and, upon approaching your vehicle, they notice a baggie of marijuana in your cup holder so they probably have sufficient evidence to justify searching your vehicle. The police may order you out of your car, pat you down, and sometimes conduct a limited search of your car’s passenger area for officer safety reasons. To justify an officer safety search, the officer must have a reasonable belief that you or your passenger may be a danger to the officer. For example, let’s say an officer pulls you over in an area known for drug trafficking. When he runs your plates he discovers you have a conviction for carrying a concealed weapon so he would be justified in patting you down and conducting a limited search of the inside of your vehicle. If the officer discovered evidence of a crime during a pat down this may provide evidence to justify a more thorough search of your vehicle. Under some circumstances, law enforcement may search your vehicle if you consent to the search. In Ohio, for the search to be lawful, you must give your consent voluntarily and intelligently. Following a traffic stop, the officer’s request to search your vehicle is only justified if the stop had a valid basis and the request is related to either the purpose of the stop or evidence observed during the stop. For example, if an officer stopped you for speeding and then asked you to consent to a search of your car the request is probably not lawful unless the officer concluded the traffic stop, and it was obvious that you were free to leave. However, if you were stopped because the officer had a legally valid reason to suspect you of a drug or weapons offense then the request to search you or your vehicle may be justified since it is connected to the officer’s reason for stopping you. If the police obtained your consent without ever stopping or detaining you, law enforcement’s request that you consent to a search is usually valid because you are free leave. For example, say you are parked at a gas station and a police officer approaches you without activating her lights or blocking you in. She talks to you casually and then asks if you mind if she searches you car. Against your better judgment, you say yes. At this point, your consent is likely valid because you were never detained and were free to leave or refuse the officer’s request. If the police lawfully arrested you following a traffic stop, then the police may search you and your vehicle to take inventory of the evidence and your belongings. In emergency situations, such as an injury accident, the police may lawfully search your car if the search began as a reasonable response to the emergency. If you are facing criminal charges and you believe your vehicle may have been illegally searched, contact an experienced Columbus Criminal Defense Attorney. 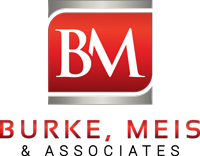 Contact Attorney Adam Burke of Burke, Meis & Associates for your free consultation today at (614) 280-9122.